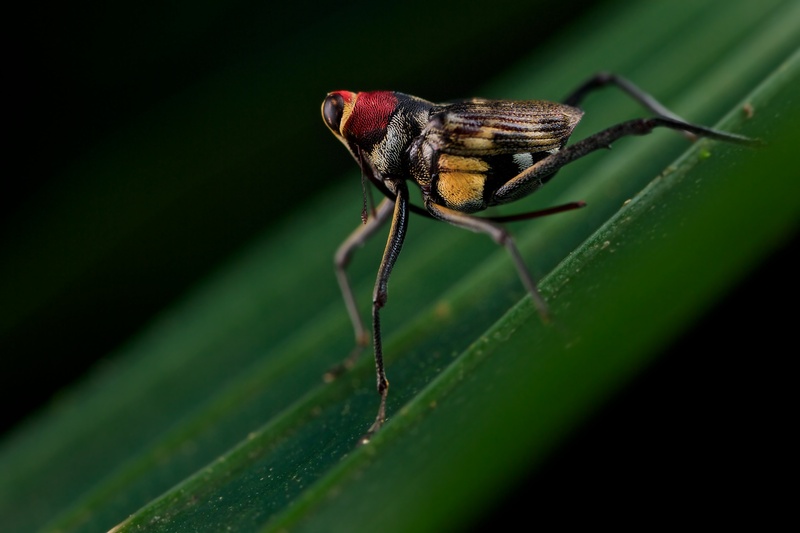 Conoderinae: the Brazilian weevil who thinks He’s a fly! Widespread in Curculionidae beetles, also known as weevils, mimicry offers astonishing models of study in these Species. Two Brazilian entomologists, Sergio A. Vanin (department of zoology-university of Sao Paulo) and Tadeu J. Guerra (department of Biology-federal University of Minas Gerais), have described in 2012 a new remarkable species of weevil that mimics Flies of the family Sarcophagidae, hence its name: timorus sarcophagoides (read interview of Tadeu J. Guerra at the end of the article). It belongs to the subfamily Conoderinae, which includes more than 200 genera and nearly 1 500 species throughout the world, most of which were described during the 19th and early 20th centuries. Weevils in this subfamily are mainly known for their mimicking staining of ants, bees, or other Beetles. 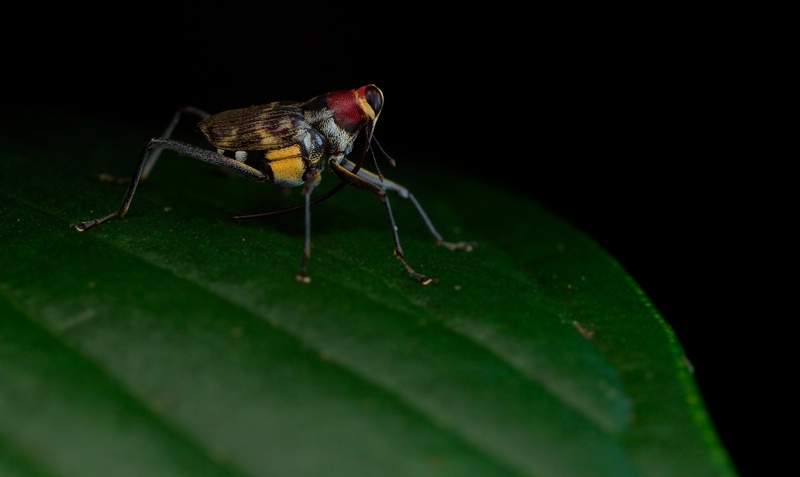 In Panama and Costa Rica, nearly 20% of the species are mimetic flies Tachinidae, Muscidae and Tabanidae. 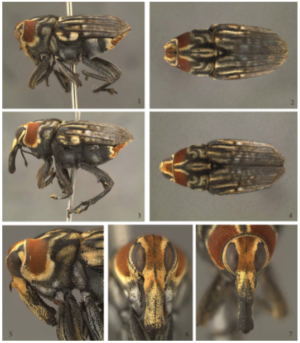 The work of the American entomologist Henry Hespenheide (Universoty of California, UCLA) allowed, in the years 1990, to identify 75 species (9 Genera) of weevils Conoderinae mimicking Flies. More broadly, This type of mimicry occurs in 6 other families and 21 genera of neotropical beetles (tropical forests of central america). Among these taxa, many species are not mimetic, demonstrating that the resemblance to flies is a convergent adaptation that appeared several times during evolution (adaptation of the Homoplastique type: morphological traits or Similar physiological differences between species with no common phylogenetic origin). Many collection specimens from museums with a highly deficient biology remain undescribed. The only key to determining this available subfamily was the Austrian entomologist Karl Maria Heller (1864-1945) in 1894. Characterization of the genera of Conoderinae is complicated by the lack of phylogenetic data and by the discovery of many undescribed species integrating into several genera and not meeting current CRITERIA. 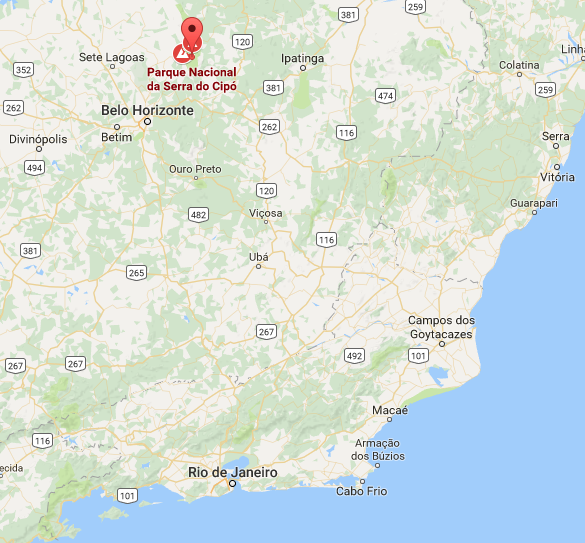 The discovery of T. Sarcophagoides was made by the entomologist T. J. Guerra in the course of botanical observations in the Heritage reserve of Vellozia, a private area of “Campos cave” between 1100 m and 1400 m altitude, located near the park National Serra do Cipo, in Santana do Riacho (Minas Gerais) in southeastern Brazil (see map). The vegetation, typical of the Region’s mountains, consists of mosaics of open fields and rocky outcroppings where herbaceous strata and scattered trees develop. 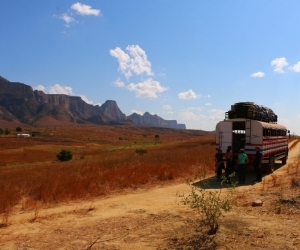 These ecosystems are home to a diversified flora associated with these poor environments of altitude to the Mesothermal climate: a cold season between May and September and warm between October and April. 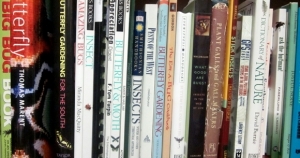 The collections were made from October to March 2009. Sergio A. Vanin and Tadeu J. Guerra give a complete description of Timorus sarcophagoides, accompanied by biological and ecological observations. The species was positioned as belonging to the Zygopini tribe in view of morphological characteristics such as the presence of a rostral canal formed solely by the Prosternum. The research in the Curculionidae collections of the Museum of Zoology of the University of Sao Paulo (MZUSP) found specimens with similar patterns, two of which, unidentified, seem to belong to the same species, one from the state of Minas Gerais (Lagao Santa) and the second in the State of Rio de Janeiro (rio de janeiro). Their examination showed, using Heller’s key, that the new species belonged to the genus Timorus (Schoenherr, 1838). The Zygopini tribe consists of 33 genera of which 31 are found in the neotropical forests of America and 2 in Africa (cameroon and tanzania). The two genera already present in Brazil are Lissoderes (champion, 1906) and Copturomorpha (champion, 1906): Timorus differs morphologically at the level of Metasternum and Coxa. In addition, Timorus cannot be attached to the 8 other genera of Zygopini Neotropical (Arachnomorpha, Microzygops, Philenis, Helleriella, wrinkles, Phileas and Zygopsella) due in particular to prominent postocular lobes and posterior femurs plus Longer than those of the anterior and median legs. Although 5 species of the genus Timorus have been described in Brazil and 2 in French guiana, none of them exhibits sexual dimorphism and mimetic coloration similar to T. sarcophagoides: size of rostrum greater in female, presence in male of thoracic thorns used in intra-sexual selection (struggle to access females: agonist behaviour). however, the adaptive meaning of sexual dimorphism in Weevils remains controversial because the history of these beetles remains poorly known. This species is therefore the first of its kind to be identified in South America and in a Savannah Environment. 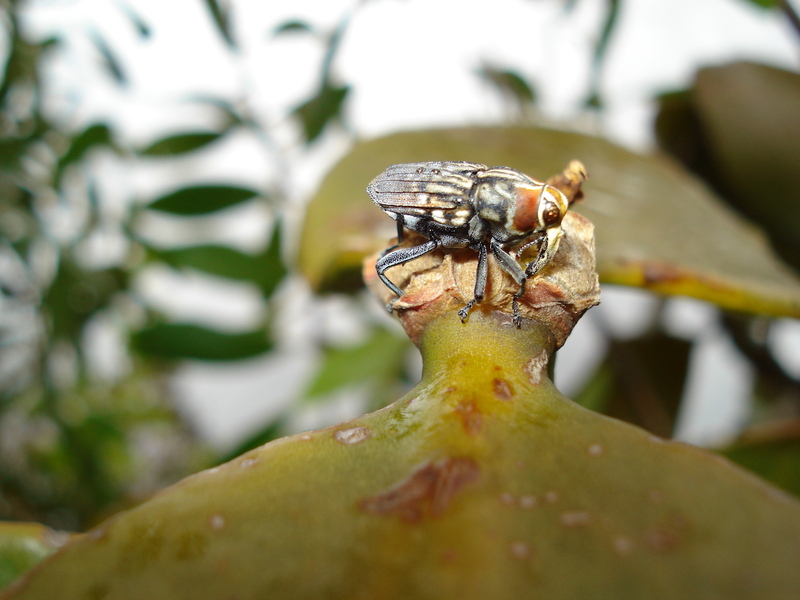 Two consecutive years of In-natura observation of Timorus sarcophagoides suggest that larvae and imago feed exclusively on a single species of host plant, the mistletoe Psittacanthus robustus (Loranthaceae). Tadeu J. Guerra showed that adults are present only between the months of November and february, the flowering period of the host plant, where they consume the pollen grains, stamens and ovaries after piercing the tissues, but also the buds . eggs, laid in february, are deposited in the root system of the host plant where the larvae, rhizophages (feeding on roots), develop from March to September. 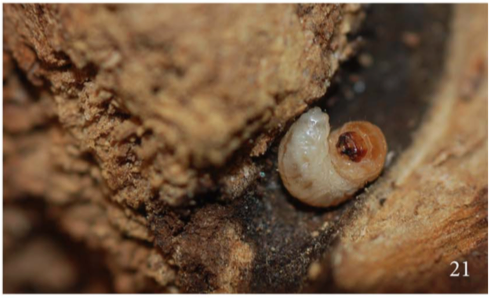 The pupae were exclusively found inside the roots in october, suggesting that the metamorphosis ends just before the start of the rainy season in October. Adults have a stéréoptypique frictional behaviour of the legs when they move imitating the flies. When the Imagos are disturbed, they gain the underside of the leaves or young shoots and flee the opposite of the Stimulus. During a capture, the Imagos drop to the ground by remaining motionless: Thanatos (“make the dead”). The species is diurnal: individuals spend the night motionless on the Leaves. When feeding, the rostrum of the imagos penetrates the interior of the plant Tissues. It is difficult for them to quickly flee a potential predator. 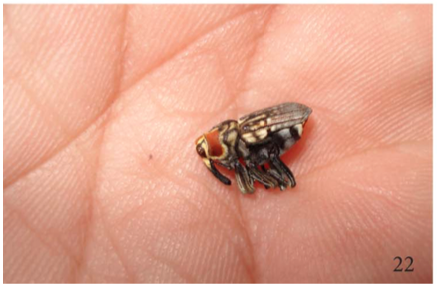 Timorus Sarcophagoides has a very similar coloration and behaviour to Sarcophagidae Flies. In addition, This species is very similar to another species in Panama: Euzurus ornativentris (Lechriopini) (Champion, 1906) (see photos at the end of the Article-Paul Betner). Sarcophagidae flies are commonly found in rocky-touch environments throughout the year, but in a very abundant way between November and March. They are frequently laid on vegetation, flowers and leaves of P. robustus for Example. 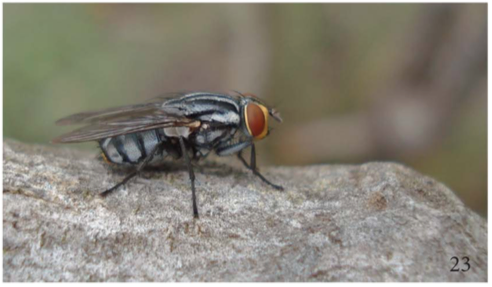 The pattern of Torimus sarcophagoides does not converge to a specific species of Sarcophagidae fly but more generally to species of the genera, Peckia (Euboettcheria) and Oxysarcodexia. 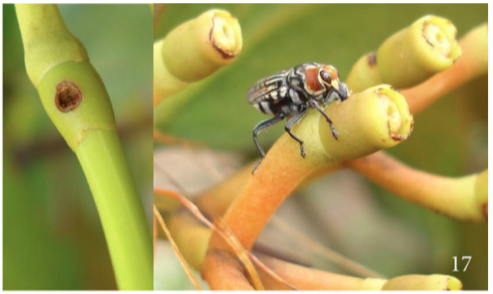 According to Hespenheide (1995), the mimicry of weevils to flies is a tropical phenomenon that survives more frequently in phytophagous species of 4 to 8 mm using branches and trunks as Micro-habitats. 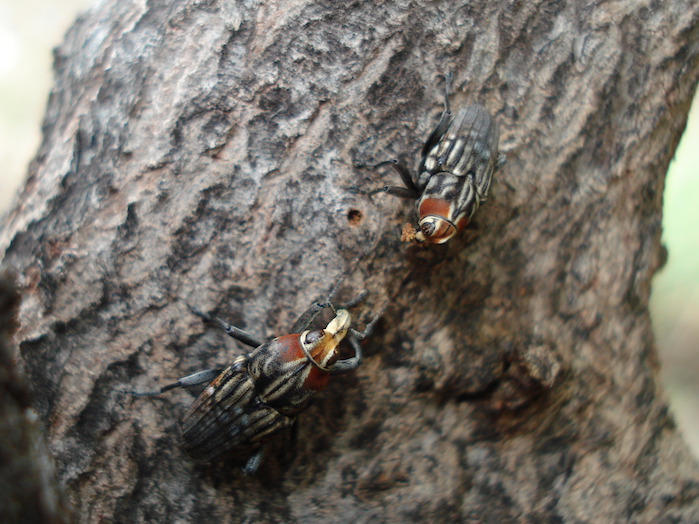 Sarcophagidae flies are not chemically armed against predators, but are perceived by them as fast and agile, thus difficult to capture, which can provide a selective and adaptive advantage to species that resemble them. A high selection pressure is thus exerted on the colouring by the visual predators that are the birds for Example. This mimicry is called Müllérien. The author, T. J. Guerra, disagrees with this hypothesis. 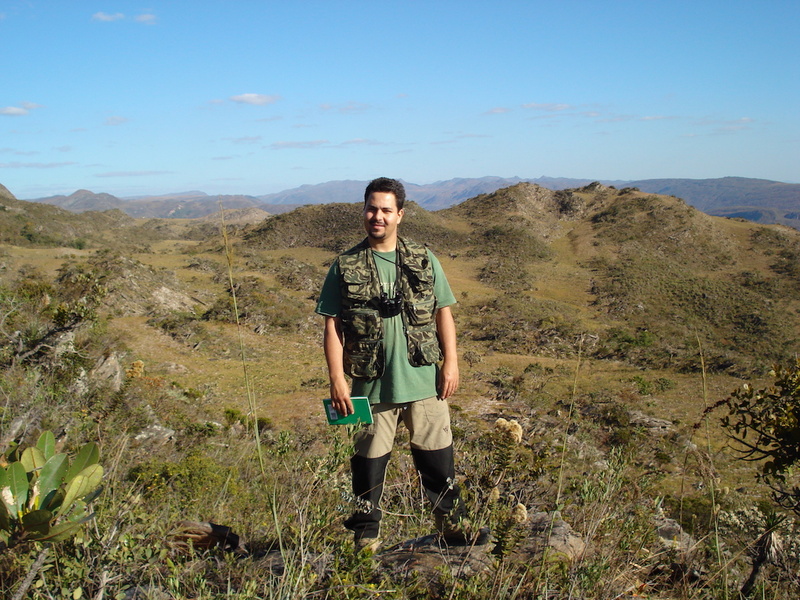 For him, The fact that only Timorus Sarcophagoides takes advantage of the situation would make a mimicry of type Batésien (read sidebar to discover the explanations of Tadeu J. Guerra-read his interview below). The ecological origin and the evolution of this type of mimicry remains difficult to demonstrate: Timorus Sarcophagoides could be a preliminary model for future studies on this TOPIC. What does Tadeu J. Guerra say? Mimicry Müllérien is characterized by phenotypic convergence (coloration and/or behaviour) of several noxious species (E.G. toxic) and emitting a warning signal (so-called aposematic species) in order to increase their Potential protection against predators who learn to recognize them see Lepidoptera of the genus Heliconius). When a vulnerable species mimics one or more harmful aposematic species to deceive the predator, the mimicry is referred to as Batésien. 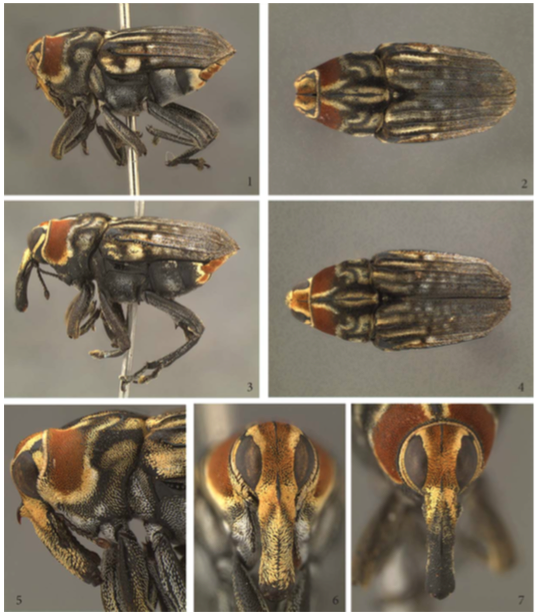 In the case of Timorus Sarcophagoides and model flies, only the Weevil takes advantage of the situation on the sole criterion of morphological resemblance. Because model flies are not harmful, the system is based solely on the leakage behaviour that is totally different between the two Species. MIME flies Sarcophagidae sends a signal to potential predators: “i am a fly, not worth trying to capture me, I am too fast and agile”. By broadening the definition of mimicry Batésien to behaviour (leakage ability), The author qualifies this mimicry as Batésien. For him, Hespenheide’s proposal would be feasible if weevils and model flies had the same leakage behaviours. Can you explain how you discovered the first specimen of Timorus sarcophagoides? I discovered the species accidentally. 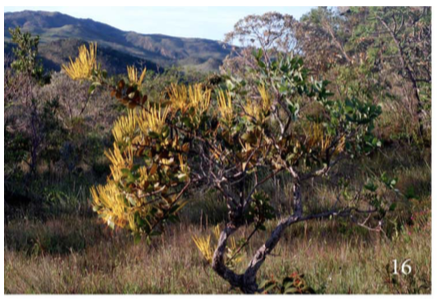 During my PhD thesis at the UN camp in brazil, I studied the natural history and ecology of a gui: Psittacanthus robustus (Loranthaceae) in the meadows of the Espinhaço Region. The objective was to understand the mechanisms of infection of host trees by mistletoe and its reproductive ecology: pollination and dispersal by birds. One of the state experiments to follow the reproductive phenology of Mistletoe. A day of 2007 while I was collecting data on the flowers of this species, I saw something that then completely astonished me: a weevil feeding on a flower bud and behaving like a fly! In the days that followed, I conducted research on Google and after reading several articles available I thought, that perhaps, it might be a good idea to collect some specimens and send them to a specialist. So I contacted Dr. Sergio A. Vanin and sent him the Specimens. After their examination, he was pleased to be able to tell me that this was probably a new species and that we could start a collaboration to describe it. He has done the taxonomic work and I have gathered the information available on the biology of the Species. What are the evolutionary mechanisms at the origin of the mimicry of Timorus sarcophagoides with the flies of the family Sarcophagidae? The assumptions about the evolutionary mechanisms of this mimicry were mainly proposed by Henry Hespenheide. He suggested that the adaptive advantage be linked to predation-related leakage behaviour, as do many mimetic insect species, including phytophagous. however, this mimetic complex in the subfamily Zygopinae (beetles, Curculionidae) is very interesting because model flies are not supposed to be repugnant or harmful but rather fast and elusive. therefore, The main hypothesis is that these mimetic weevils trick predators into vision, recognising prey types at the cost of high predation and thus avoiding them. Experimental studies demonstrating this “escape mimicry” in nature are still lacking, and as a result, these theories remain Speculative. The idea proposed by Hespenheide is that this type of mimicry would be of the Müllérien type: it assumes that weevils can be as fast and lively as Flies. On this point, I totally disagree. I have been able to observe many times these insects in nature and I am sure they are neither fast nor lively like flies. In fact, all specimens were easy to collect by hand. Virtually impossible thing with model Flies. For this, at least for T. sarcophagoides, I am totally convinced that the mimicry is of type Batésien, the Weevil takes advantage to look like something it is not, fast and lively. It is difficult to conclude on the origin of this mimicry because there is no phylogenetic visibility on the group at this Time. We can suggest that mimicry between these species reflects evolutionary convergence since mimetic characteristics are found in several species of different families. What’s your research on this species? I conclude a manuscript where we tested the adaptive potential of these weevils using modelling pasta replicas placed in the habitat during the period of occurrence of T. Sarcophagoides. We recorded numerous attempts to attack by birds showing that they could exert a high selection pressure on these insects. In addition, the results of our field experience were very clear with respect to the adaptive potential of this mimicry: red-eyed Weevils were much less attacked by avian predators than replicas with eyes Browns or replicas of controls without Eyes. Are you still studying this species? no, I actually started my career as an Ornithologist. Then I became interested mainly in their relations with the birds that pollinate them and disperse their seeds. During my phd, I found a plethora of insects associated with this plant and began to conduct several studies including the ecological aspect of Weevils (see publications). What are you interested in insects? Insects have fascinated me since I was young, especially their behavior. I consider myself a naturalist: being in nature makes me happy. I really enjoy going into the wild and exploring the behavior of insects with my two children: insects are easy to turn. Observing phenomena like mimicry, bees and butterflies that visit flowers, predators like ants or wasps attacking their prey really makes my day. I can’t explain it with words, I just like it. It’s much more fun than watching TV or reading a Book. I hope to continue to do that for a long time. What are you currently working on and what are your next scientific projects? I am currently studying the seed dispersal system of a plant species of the genus Miconia (Melastomataceae). 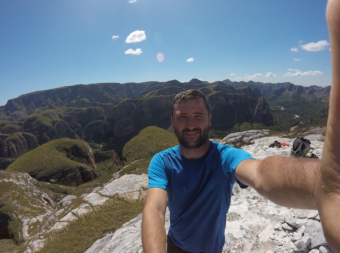 I am interested in understanding how birds, lizards and ants contribute to the dispersal of seeds of this endemic plant in the Brazilian highlands.